If you have already obtained your trade license than periodically you have to renew it for continuous safety your business. 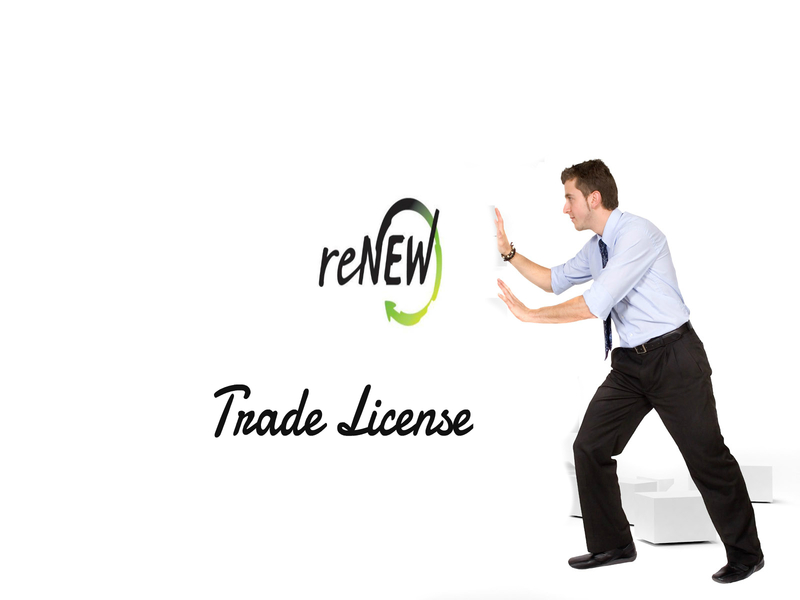 For renewal you trade license Municipal Corporation sends you a demand notice regarding renewal of your trade license before one month of spire. So you have to pay the specified amount at specified banks mentioned in the notice. You can pay it online, cash, cheque or by demand draft in favor of Kolkata Municipal Corporation. After successful of payment your demand notice would be deemed as a trade license and your business would be safe legally. Due to any issue your demand notice not come at your office, certain situation you have to deposit all documents include a photograph of last paid trade license. You also need to submit the business information covered at your trade license. You have also need to submit business details like place in square feet, group of the business, Address of the business, place and date. After the submission, Municipal Corporation will send a copy of the demand notice at your business address. Deal License is a top leading legal consultant in Kolkata, India. We effectively dealt with a wide range of trade license, food license, import export license and company registration and give an appropriate solution to clients. "You are totally confused about how to get a trade license in Kolkata? Then this post will solve your confusion. Through this post we are trying to solve all traders issue regarding trade license." What Is Trade License ? Trade License is a permit for opening a business which is issued by the municipal corporation of India. It is only applicable for individual Business or Trade. If you want to start a business then your first step must be to obtain a trade license from Municipal Corporation which essentially allows you to start a business legally. For obtaining trade license you need to filed-up an application which you can obtained from Municipal Corporation or from License consultant based at your location. Along with this application you have to submit few documents for business verification. For business verification you have to submit few documents at Municipal Corporation Office. It may change business to business which you are going to run. If you want to run your business with support of business partner then along with above document you have to fill up an affidavit/declaration application form which declares that in case of any illegal activity on the behalf of the partner who want to start a business, the certificate of enlistment will be revoked. "After submitting these data at Municipal Commissioner then most probably within 30 days You will be business owner legally." Value Added Tax (VAT) - What you must know? The Value Added Tax (VAT) has now replaced the Sales Tax. It is synonymous with CST Registration and TIN Registration. This is a multi-stage tax with the provision to allow 'Input tax credit (ITC)' on tax at an earlier stage, which can be appropriated against the VAT liability on subsequent sale. Therefore, VAT is ultimately borne by the consumer.VAT is collected by the State Governments of the country. So the rules applicable would depend on the rules of the state, in which your business is located or operates. If you are involved in manufacturing or trading of goods, you must find out the VAT Rates applicable for the state in which you sell your goods. You need to comply with the regulation of that state. For manufactures or traders having a Turnover more than Rs 5 Lakhs, VAT Registration is mandatory in most states. In some state this figure is Rs.10 lakhs. As a manufacturer or trader you must be aware of the relevant state VAT regulation and obtain registration if required. Once your business is registered for VAT, you would be allotted a unique 11 digit number which will serve as the VAT Number for the business. This is also the TIN or CST Number. So the VATregistration is very important for your business and you must have it done. If you are not aware with the whole process it may be difficult for you. This is why you need to avail the services of Deallicense. Being the VAT Registration Consultant in Kolkata we can assist you to obtain the same easily and speedily. How to get trade license?